Kombucha - Who in the World is Drinking That Stuff?? Who in the World is Drinking That Stuff?? Who is the typical Kombucha Tea drinker? Is it the 35-year old woman producer at NBC? Is it the attorney in Baltimore? The oil rig worker/engineer in Scotland? The little blue-hared lady in Oregon, that lives alone with her 17 cats? The 75 year old widower in Minnesota, puttering around in his garden? The Veterinarian in Boise? The factory worker in Detroit? The Wildlife Park owner/operator in Texas? The Oncologist in L.A.. The showgirl in Atlantic City? The Vicar in London? The flight attendant in Dallas? Or, maybe it's the talk-show host in Orlando. The 'typical' Kombucha drinker is all of these - and more! In February of 1996, Harmonic Harvest mailed out 500 'Kombucha Questionnaires to known Kombucha growers/drinkers. We also posted the questionnaire on the Internet. By July of 1996, we had received 404 responses to the questionnaire. This year we sent out another 500, and received 329 new completed questionnaires. Following are the combined results of those responses. In all of the 50 states in the U.S., plus Canada, Mexico, England, Scotland, Ireland, Wales, Argentina, Columbia, Iran, Australia, New Zealand, Brazil, Nova Scotia, South Africa, Israel, China, Italy, The Netherlands, Belgium, Japan, Germany, France, Russia, Puerto Rico, The Antilles, Portugal, Spain, Hong Kong, and Rumania. And the list keeps growing! Please keep in mind that the statistics published here reflect the responses of individual people, responding to the questions asked, and are in no way intended to imply any medical claims as to the benefits derived from drinking Kombucha Tea. WHY are all of these people drinking Kombucha? The following is categorized, in descending order. These are the primary reasons people gave for beginning to drink Kombucha. 28% 'Preventive Maintenance'. 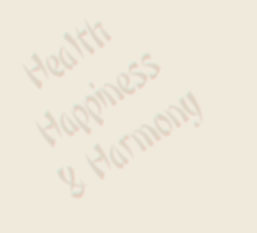 To maintain their present state of good health. 4% Skin problems, Psoriasis, Acne, Excema, etc..
HOW do these people brew their Kombucha? 93% Use the standard 'tried & true' method of brewing Kombucha. WHAT things do they do differently? Use brown sugar, raw sugar, molasses, honey. Ferment in Rubbermaid, plastic brewing vats or plastic ice cream or other food containers. What STRAIN of Kombucha are they growing? How MUCH KT do they drink every day? How LONG have these people been drinking Kombucha? What BENEFITS do these people report? If you are adding up the percentages - you're absolutely correct - that's a lot more than 100%! Most completed questionnaires listed more than one benefit received. Many people begin to drink Kombucha for a particular reason, i.e., arthritis pain - only to discover that they have lost some weight, they are no longer constipated, and their blood pressure has gone down. What about Kombucha for children? Two years ago, very few of the respondents were giving Kombucha to their kids under 12. That number has increased. What about Kombucha for animals? Primarily, it tells us that Kombucha is not a 'cure-all' - in fact, Kombucha does not 'cure' anything. Kombucha aids the body in making repairs per the original plan. Not everyone will loose weight or sleep better. Not everyone will wake up one morning looking ten years younger. Not everyone will experience increased libido or phenomenal bursts of energy. There are some people who report NO obvious results (either positive or negative) from drinking Kombucha. but, apparently, it does help some of the people - some of the time. If you would like to participate in this ongoing research, please complete the "Kombucha Questionnaire"
This publication is copyrighted and the publication or portions thereof may not be used in any way without written permission from the author. All rights reserved.